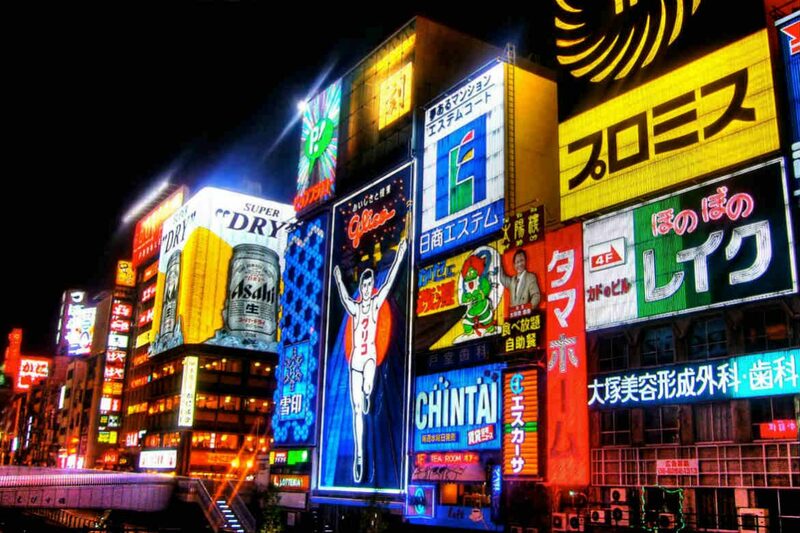 Often stereotyped as Tokyo’s high-energy cousin, Osaka is a hive of bars, shopping centres, restaurants and neon lights. Known for its youthful spirit and unrelenting pace of life, Osaka is consistently one of the best places to eat, drink and party in Japan. Originally built in 1583, Osaka Castle is perhaps the city’s most recognisable icon. After being reconstructed in 1931, the castle now houses an extensive collection of weapons, armour and art which all form part of the castle’s long history. Head up to the observation deck, located on the eighth floor, for 360-degree views of the park and the city lying just beyond the greenery. Stroll past at night to see the castle illuminated in a dramatic pose, or visit during the day to enjoy a scenic picnic by the water. 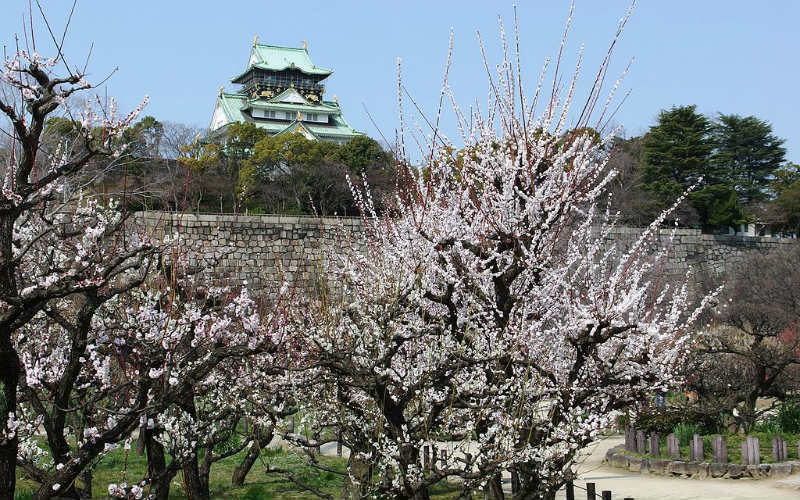 The surrounding cherry blossom trees make Osaka Castle Park a particularly popular destination around March and April, when the famous pink flowers come into bloom. Osaka Castle Park, Osaka, Japan. Image Credit: Mc681 / CC by SA 4.0. Invented in 1958, the humble cup noodle is the ubiquitous Japanese snack that has taken the world by storm. Located in Ikeda, the Momofuku Ando Instant Ramen Museum is an homage to Momofuku Ando and his most famous invention. Learn about the experiments which led to his masterpiece, and browse an exhibition that houses more flavours of cup noodles than you ever knew existed. 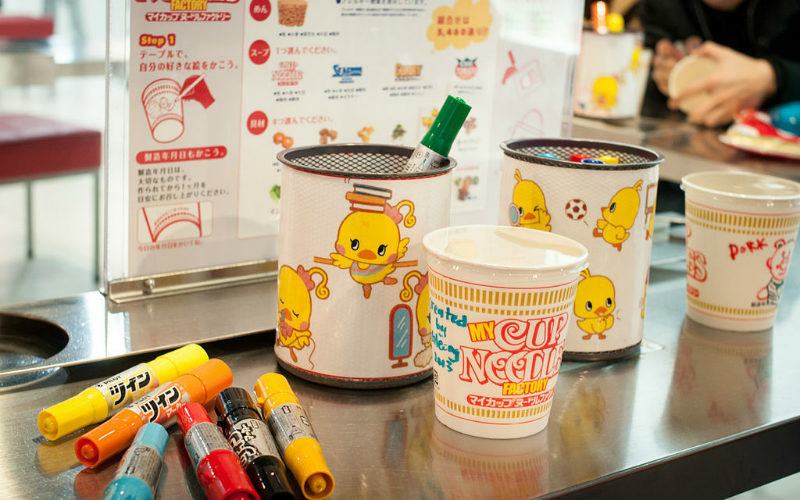 For a hands-on experience, visit the My CUPNOODLES Factory where you can personalise your cup design and create a custom snack by choosing your own flavours and toppings. Diehard fans can also book a spot at the Chicken Ramen Factory, where you’ll learn how to knead and steam the wheat dough before flash frying it into a delicious souvenir. Momofuku Ando Instant Ramen Museum, Osaka, Japan. Image Credit: chee.hong / CC by 2.0. Although dynamic during the day, it’s at night that Osaka really shines. Among the city’s many interesting neighbourhoods, it’s Dotonbori that often appears on top of Osaka’s “must-visit” lists. The district is filled with bars, restaurants and theatres, all spruiking their presence with glitzy neon signs. 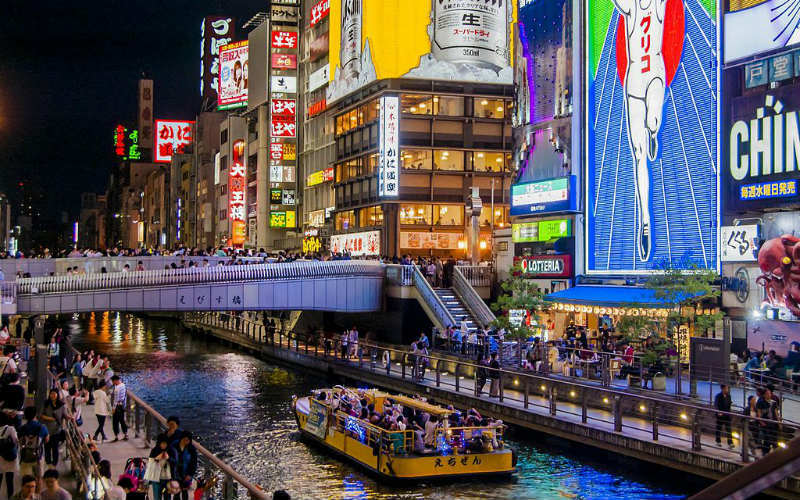 First and foremost a nightlife district, tourists and locals alike flock to Dotonbori for its lively entertainment, multitude of eateries, and pulsing clubs and bars. The reflections of the huge, illuminated billboards on the Dotonbori canal also make it a great spot for nighttime photography. Dotonbori, Osaka, Japan. Image Credit: Type specimen / CC by SA 3.0. 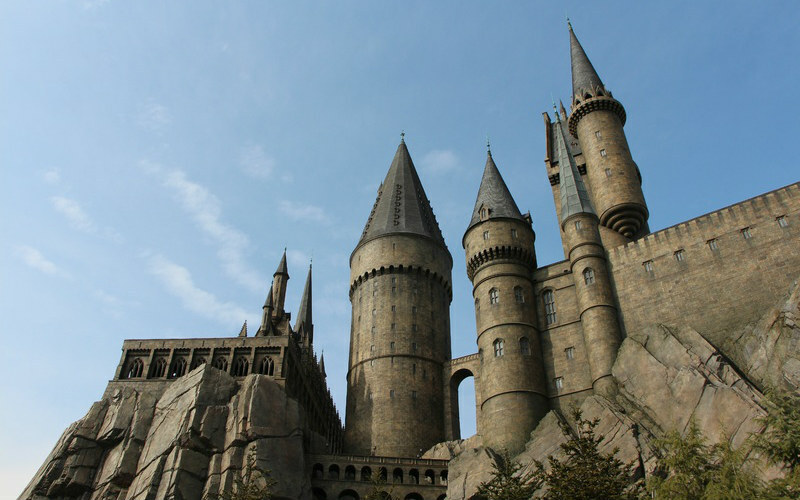 One of just four Universal Studios theme parks in the world, Universal Studios Japan is a must-see attraction for film buffs and thrill-seekers visiting Osaka. Drawing more than 14 million visitors each year, Universal Studios Japan is the fourth most popular amusement park in the world. The park includes 10 themed worlds including Super Nintendo World, Jurassic Park, Sesame Street, and the Wizarding World of Harry Potter. Swing through the streets of New York on The Amazing Adventures of Spider-Man, cruise through prehistoric waters on Jurassic Park – The Ride, and sip a glass of warm Butterbeer in Diagon Alley. With the arrival of the world’s first Minion Park earlier this year, there are more reasons than ever to visit Universal Studios Japan. Universal Studios Japan, Osaka, Japan. For a taste of the authentic, there’s no going past the Osaka Museum of Housing and Living. 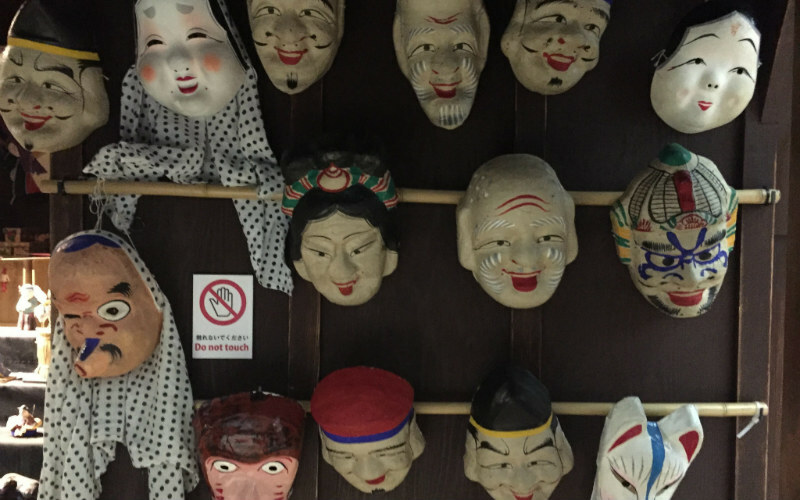 Found on Tenjinbashi-suji Shopping Street (Japan’s longest shopping street), this museum offers a unique glimpse into life in Old Osaka. Start on the 10th floor observatory and gaze down onto a stunningly detailed recreation of Osaka during the Edo period (1603–1868). Next, head down to the ninth floor where you can rent a traditional kimono and walk through streets, shops and houses which have been specially constructed in the style of a typical 1830s town. As well as endless photo opportunities, the museum also features interactive exhibitions, hand-painted miniature towns, and fascinating relics from centuries past. Osaka Museum of Housing and Living, Osaka, Japan. Image Credit: Stephen Kelly / CC by 2.0. Ready to explore one of Japan’s coolest cities? Find and book cheap flights to Osaka with Webjet today! Featured Image Credit: Joop / CC by 2.0.